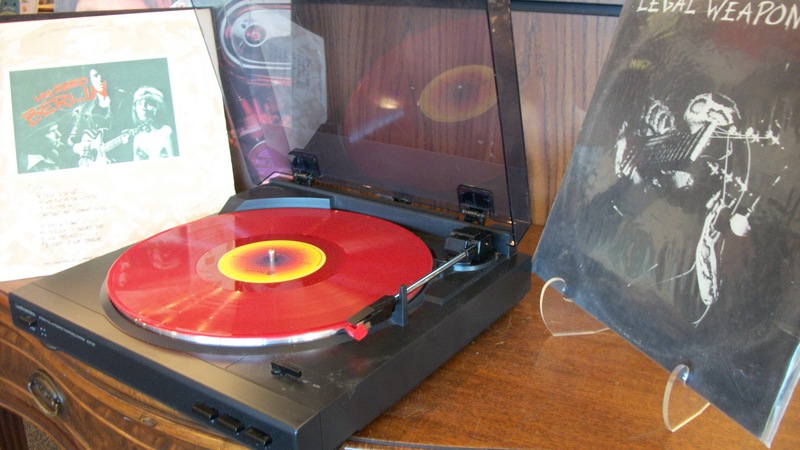 Over the past few years, vinyl records have made a comeback in a big, big way. More and more music enthusiasts are heading to their local record stores to discover or collect music. There are a lot of reasons why vinyl has made a resurgence in recent years, and if you are just starting to create your own vinyl collection, you’ll want to know all about how to pick and choose records – and what else you need to make them play beautiful music. There are many reasons people stick with buying vinyl records instead of CDs or MP3s. A lot of this has to do with the quality of sound. Vinyl records produce a sound unlike any other and a lot of audiophiles prefer the aesthetics of vinyl over that of a CD player or on an iPhone. Why do people like the sound of vinyl so much? Famous musician Andrew Huang once said, “The process of playing Vinyl is like a music lover’s tea ceremony.” In this, he explains how important the process of admiring the art, taking the record out of its sleeve, placing it on the turntable, listening to the first side all the way through and flipping it to hear the other side. Vinyl records showcase a lot more than just the music. Each record is a piece of art. Interestingly enough, a lot of people don’t listen to albums all the way through from start to finish. Most artists intended their audience to hear their story from start to finish. What type of turntable should I get? Belt or Direct Drive? A small motor connects to a plate where records sit that spins at a consistent speed. Then a stylus is placed on the vinyl, riding it’s many grooves, converting the vibrations into sound. There are two different ways the motor connects to the plate: a belt drive or a direct drive. Belt drives use an elastic belt to isolate the motor from the plate. With direct drives, the motor and plate are directly attached. There are many pros and cons to each type of turntable so it would be worth learning a bit about each before you buy one! It all depends on what kind of sound you are looking for. Is it better to buy a brand new pressing of an old record? The short answer? No (with a few exceptions). It all really depends on when the vinyl was made. It’s been nearly fifty years since records became mainstream. Since then, there have been many increases and declines in vinyl popularity. For example, during the global energy crisis in the 1970s, vinyl production plummeted in an attempt to conserve material and save money. Before that time frame, I would definitely recommend sticking with the old original pressings. Nowadays, they certainly don’t make vinyl like they used to, but it honestly isn’t as bad as it was in the 70s. This is really important! Vinyl is delicate and it’s smart to be as careful as possible when handling each record. Only touch the edges and the label area. To keep records from becoming warped, store them vertically so there’s no unnecessary pressure weighing them down. Another important way to keep your vinyl collection in tip-top shape is to keep the sleeve. The small bit of paper between the album cover and the record is essential. These help by keeping the record free from dust and dirt. If the sleeve is falling apart or covered in mildew, purchase some new ones. Playing a record covered in dirt and dust is a terrible idea! It is so important to keep vinyl as clean as possible to avoid affecting the sound quality. There are some inexpensive record cleaning kits you can purchase that do the trick (Bookmans will occasionally sell them. Give us a call to see if we have any in stock). The long and the short of it is to be conservative and gentle. Using a carbon fiber brush before and after playing a vinyl is a great way to keep records in perfect shape. **Please note! No amount of cleaning will repair an already damaged record. If you’re looking for a more in-depth tutorial on how to keep vinyl for beginners, check this article out! And if you’re looking to expand your own vinyl collection, head to your local Bookmans record section. You never know what treasures you’ll unearth!